I prepared the jamuns using my favourite mix brand 'Gits'. They tasted delicious. 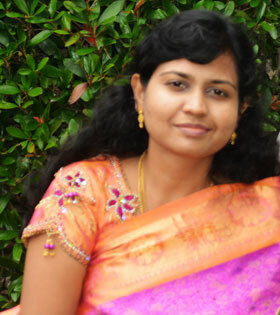 I used 500gm packet which makes 100(more than 100). I thought it will be wasted since it s more for three of us(including my son who is a toddler). But to my surprise they were no more in the bowl within 5 days... . We all liked it that much and it melts in our mouth, like the melting magic. I hope sure you will give it a try too. 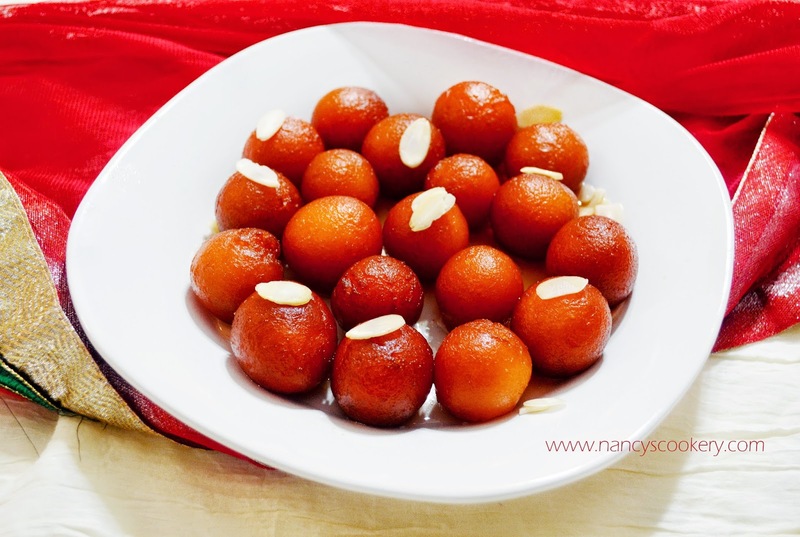 While eating gulab jamuns, we forgot about diet. Water - 6 1/2 cup + 2 tbsp. 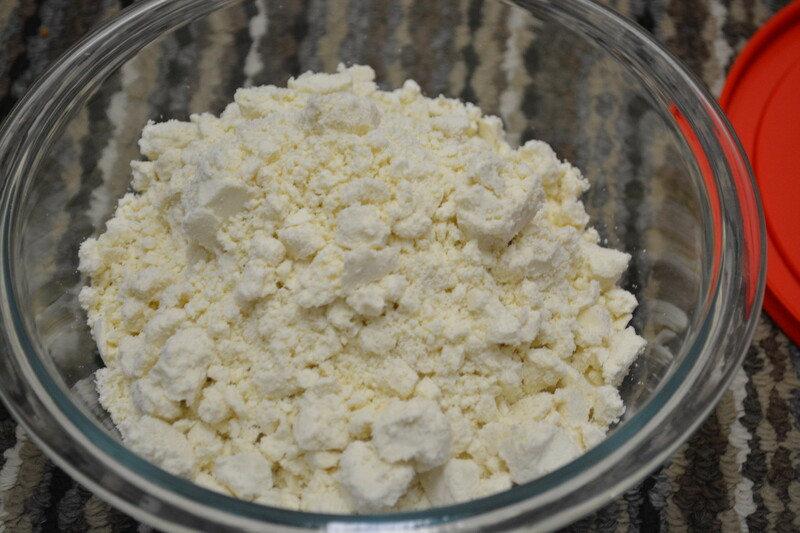 Cardamom powder/ crushed cardamom - 1 tbsp. 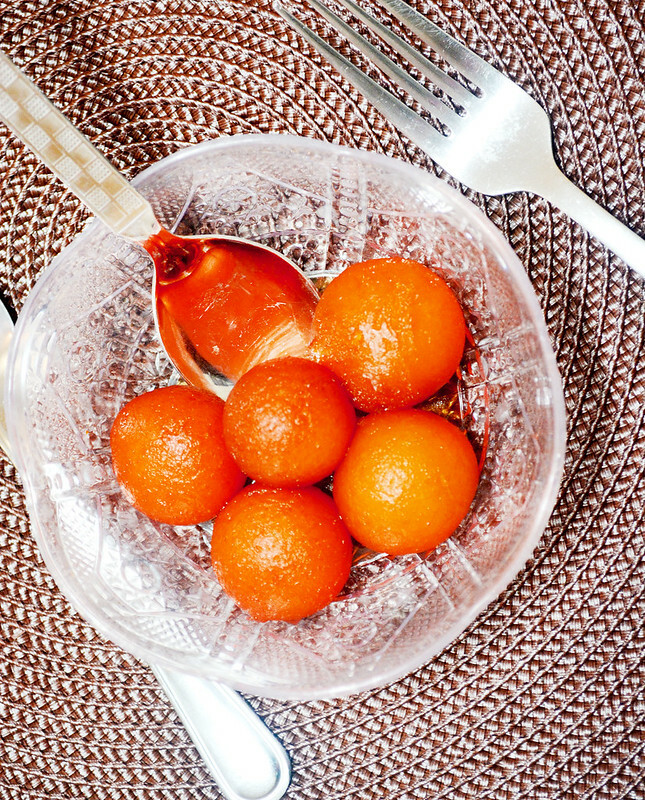 Pour Gulab Jamun mix in a bowl. 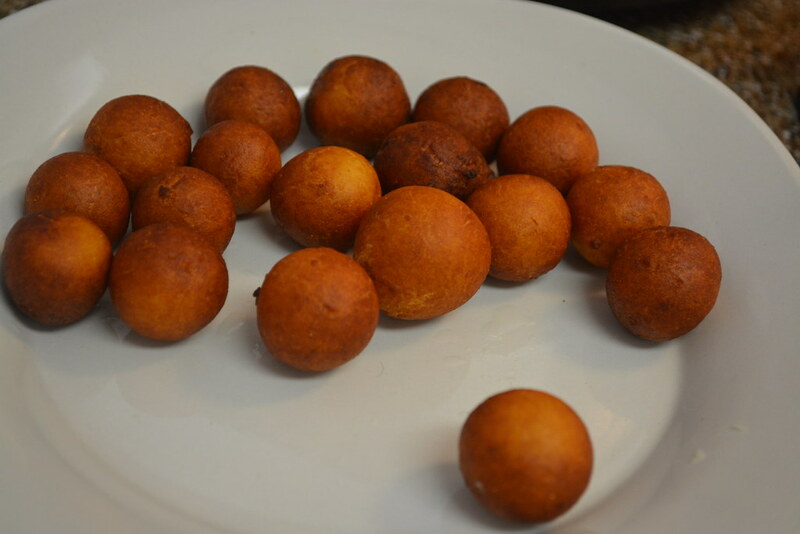 Add water in parts to the jamun mix. 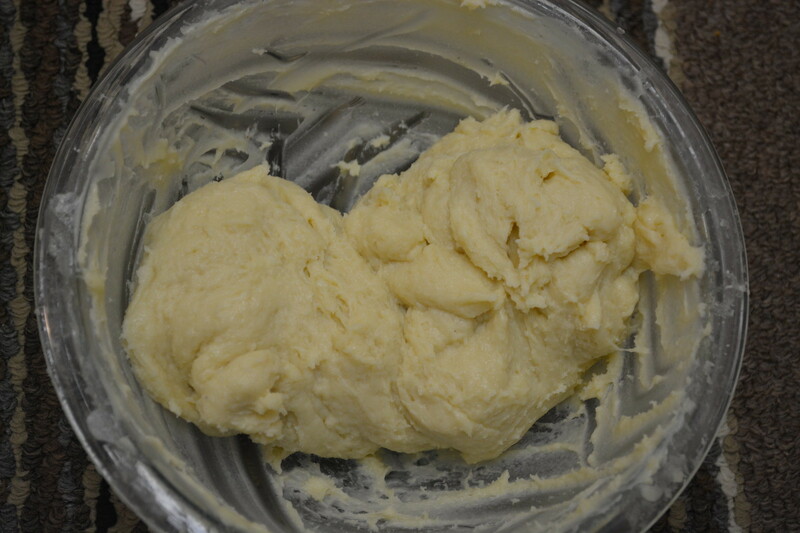 Knead it to a smooth and soft dough. At this point the dough is sticky. So leave it for some time, say half an hour, then try to make balls. 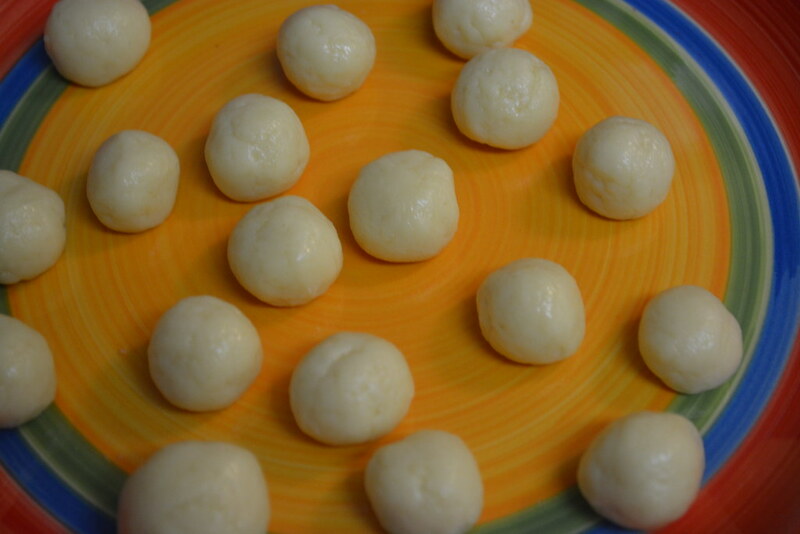 Now apply oil in both hands and make small marble sized balls (did it in batches, since I used 500gm pack) out of the dough. In the meantime heat oil in a pan for deep frying jamuns. Make the measured ingredients and pan ready for sugar syrup. Check the oil and put a small piece of dough in the oil, if the dough rises above slowly(not too slow) add first batch of jamuns . 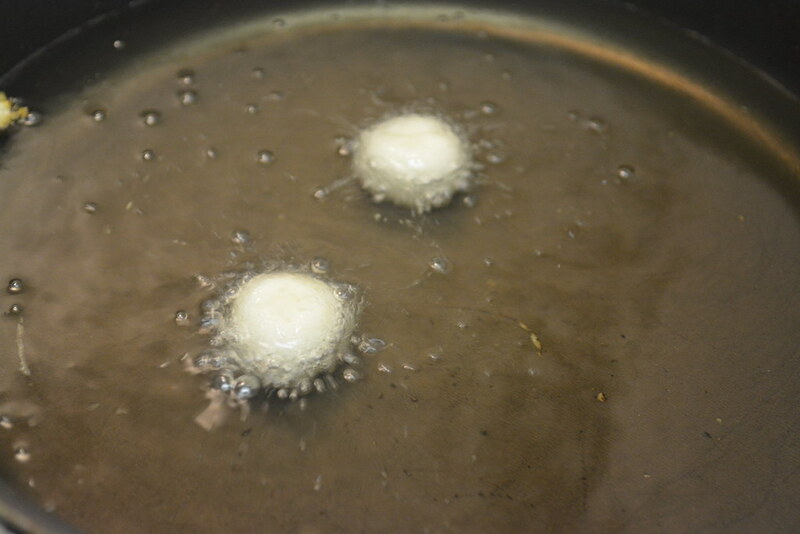 (If the dough rises immediately, jamuns become brown quickly.) 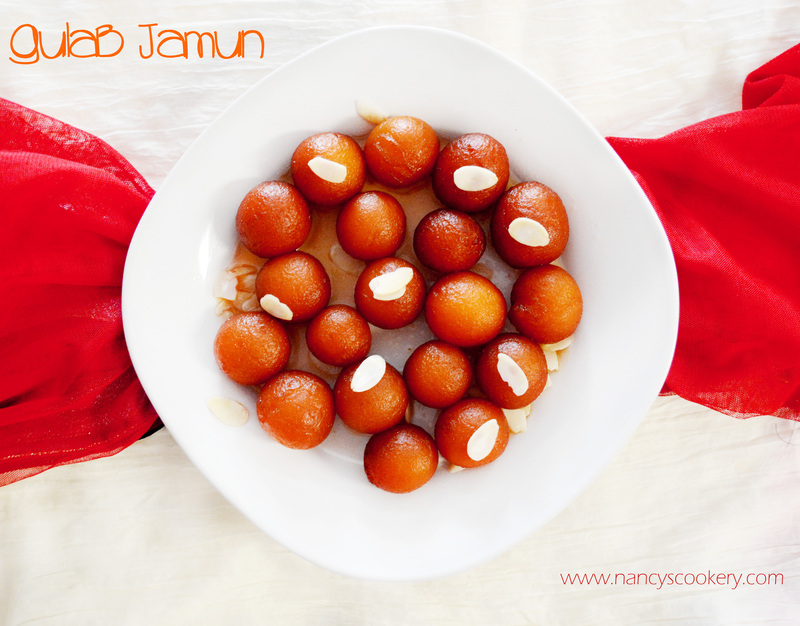 After adding jamuns, you can increase the heat just to make the jamuns faster but not too high. Keep stirring the jamuns in between and when the jamuns become dark brown, remove it to a plate. 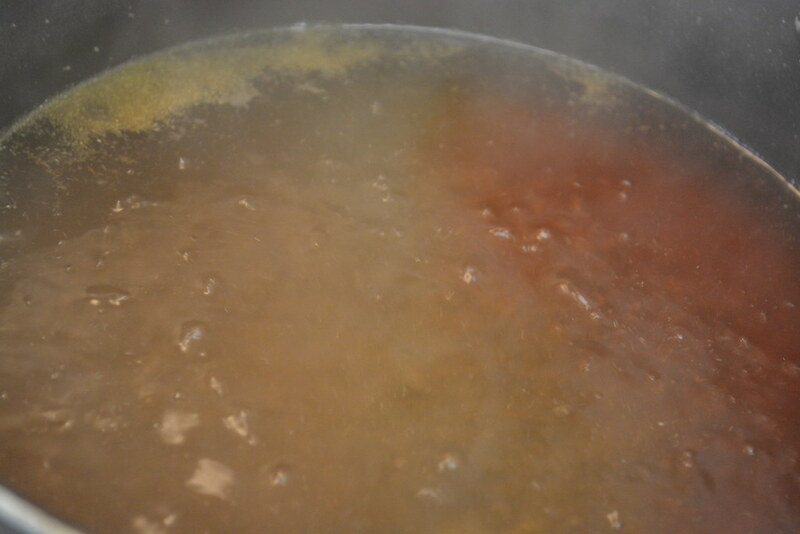 Now add water to a pan and dissolve sugar in it. Keep it in high flame and bring it to a boil, add saffron and elachi powder, while stirring constantly and simmer it for 5 minutes, then remove from heat. 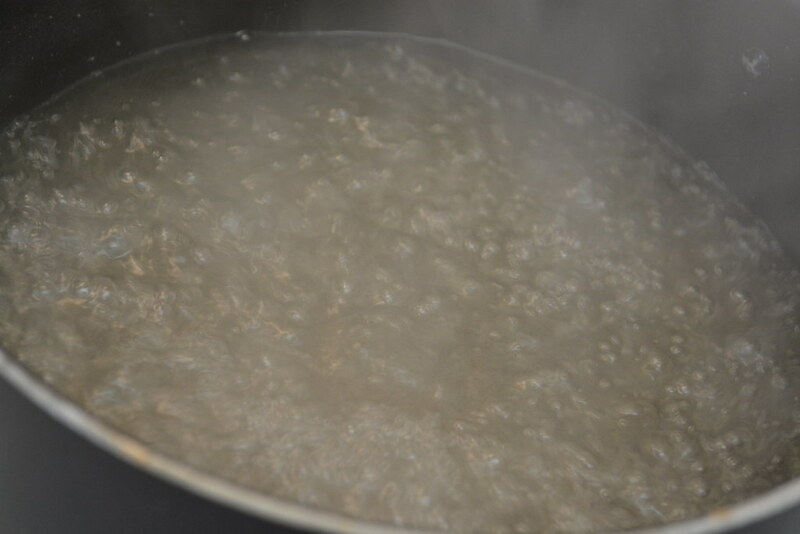 It took less than 15 minutes for me to make sugar syrup. Now put the fried jamuns in hot sugar syrup. Keep it for 30 minutes or until jamun completely absorbs sugar syrup (You can see in the second picture how the jamuns grew in size). Do the same for remaining batches. 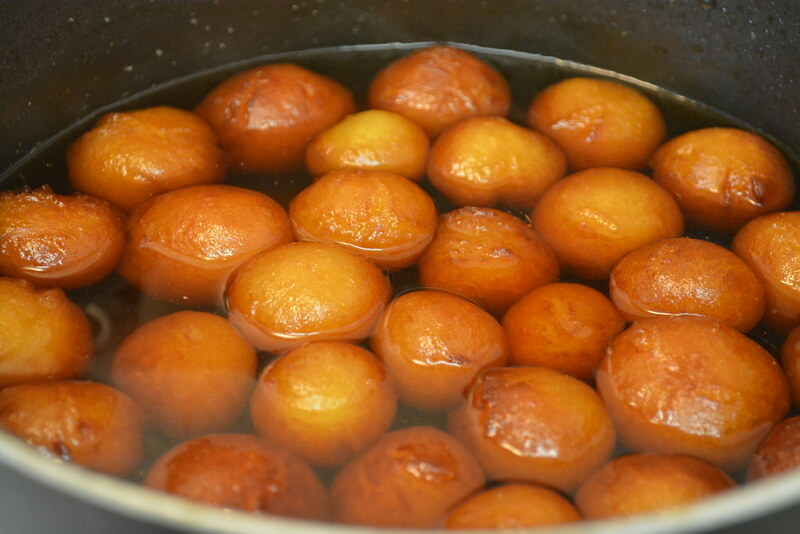 If you make balls big, Gulab jamun will be in Giant size because after immersed in sugar syrup, it grows in size. I prefer Gits mix because it tastes good. 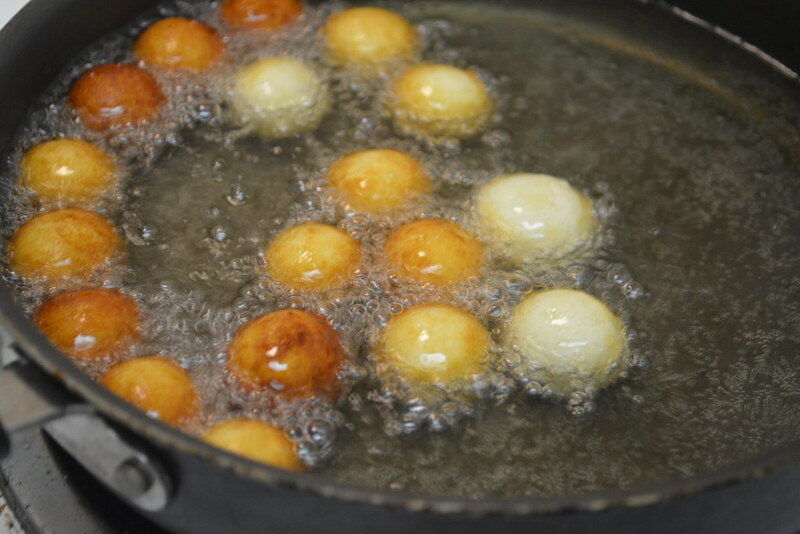 While making the balls, mold it completely so that no opening is found in the ball, then you will get good round shape, or else jamun will be disfigured. 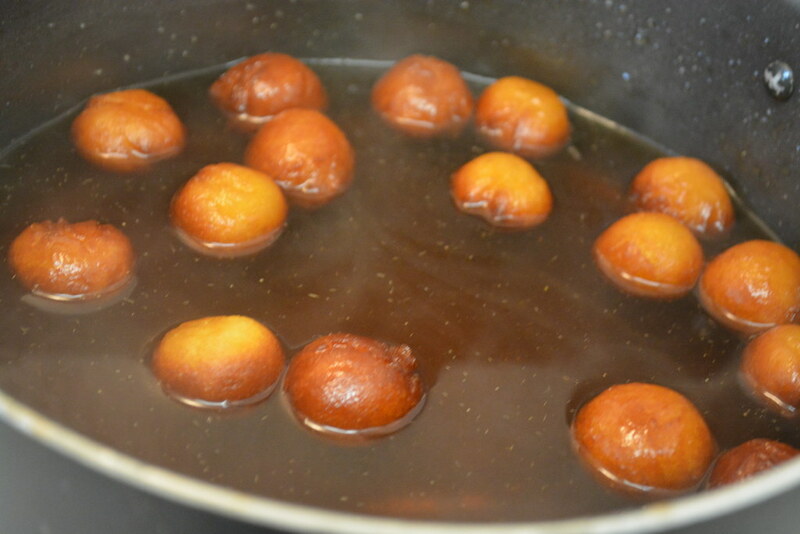 You can use different size jamun mix packets which are available, to say 200gm etc..
Gulab Jamun is my Favorite dessert. I loved to make it. I like you procedue, i will try this method for next time. Thank you for the procedure.